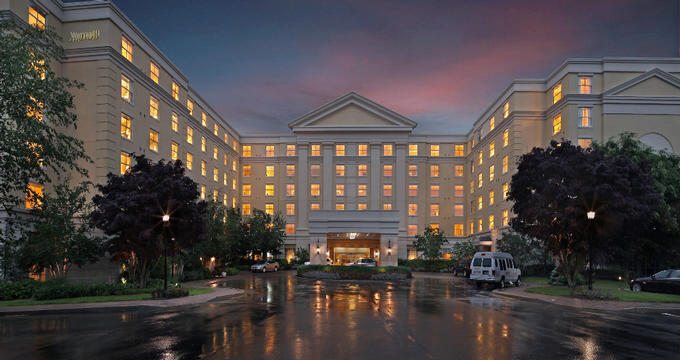 Groton Connecticut houses the great Mystic Marriott Hotel and Spa, otherwise known as the “Mystic Shore” region, is the hot spot for business and corporate retreats, as well as weddings, reunions, and other special occasions. Uniquely located at a convenient distance from New York City and Boston, guests can enjoy the award-winning services offered at the Mystic Marriot Hotel & Spa. Guest Room, King/2 Queen – The standard king or two-queen room is approximately 325sf, air-conditioned, and non-smoking. Select guestrooms offer connecting rooms. This room is also available as mobility and hearing accessible. Some rooms also include roll-in showers. Concierge Room, King/2 Queen – This exclusive guest room is available with one king-size bed or two queen-size beds and is located on the top floor of the Mystic Marriott Hotel & Spa. The Concierge Rooms is approximately 325sf, air-conditioned, and non-smoking. Special services available include exclusive Concierge access to the top floor lounge, complimentary food, and cocktails (for a fee). This room is also available as mobility and hearing accessible, or with roll-in showers. Larger Guest Room, King/2 Queen – This guest room is a more spacious 375sf. The larger guest room is distinct for its view of the lake and corner room area, ideal for an afternoon nap or reading. This room is air-conditioned and non-smoking. This room is not available as mobility or hearing accessible. 1 Bedroom Junior Suite – This lower-level suite includes a bedroom with a king-size bed. It has 693sf, air-conditioning, and is non-smoking. Guests can take full advantage of a roomy walk-in closet and living and sitting space. This suite is not available as mobility and hearing accessible. Breakfast – Breakfast is offered daily at the Mystic Marriott Hotel & Spa for a fee. Breakfast styles include buffet breakfast, continental breakfast, and American breakfast. Octagon – This upscale, modern steakhouse has proven to be the perfect dining location for guests just returning from corporate or business meetings, as well as tourists coming back from a Mystic Shore attraction. The Octagon is open for breakfast, lunch, and dinner daily and the dress code is casual. Starbucks – Located in the Mystic Marriott Hotel & Spa, guests can enjoy their morning coffee on the go. Starbucks is open for breakfast and lunch daily, and the dress code is casual. At the Elizabeth Arden Red Door Spa, guests can indulge themselves in many treatments and services offered, including face, body, nail, and hair. Reservations are required. The Red Door Spa is open daily for guests. The spa offers a ton of services like makeup services, hair and scalp treatments, massages, facials, waxing, manicures and pedicures, eye treatments, body scrub, and other body treatments. Also, the spa offers many amenities. Guests can enjoy the steam room, the spa restaurant, the lap pool, and the area for men’s services. As if that were not enough, the spa’s facilities offer couple’s massages, paraffin treatments, and in-suite massages from the comfort of your room. The Fitness Center at the Mystic Marriott Hotel & Spa is open 24 hours, seven days a week. Some of the services and equipment available for guests at the Fitness Center are free weights and cardio machines. There are no fitness services or group classes available. Guests are welcome to relax at the indoor pool or whirlpool. Towels are provided to guests. Elmridge Golf Course – The Elmridge Golf Course includes 27 holes amongst 6357 yards. Joseph and Charles Rustici designed this course. Additional amenities included at the Elmridge Golf Course are the Clubhouse, Golf Shop, lessons, and rentals, driving range, and putting greens. Some greens fees may apply. During the game, guests are encouraged to kick back at the Clubhouse Restaurant. Shennecossett Golf Course – This course is 18 holes with a total par for the course is 71. Some greens fees may apply. Donald Ross created the design for this course. Spikes are allowed on the Shennecossett course. Guests can also take advantage of the Clubhouse, Clubhouse Restaurant, and the Golf Shop. Pequot Golf Club – This golf course offers its golfers access to the Clubhouse, Golf Shop, and Clubhouse Restaurant. Rentals and lessons are available to guests, as well as a putting green. Wendall Ross created the design for the Pequot Golf Club. There are a large variety of attractions and popular destinations for tourists coming to the Mystic Region of Connecticut, including the Stonington Vineyards, The Museum of America and the Sea, and the Mystic Aquarium.